My parents may have shot this, or one of my aunts or uncles. 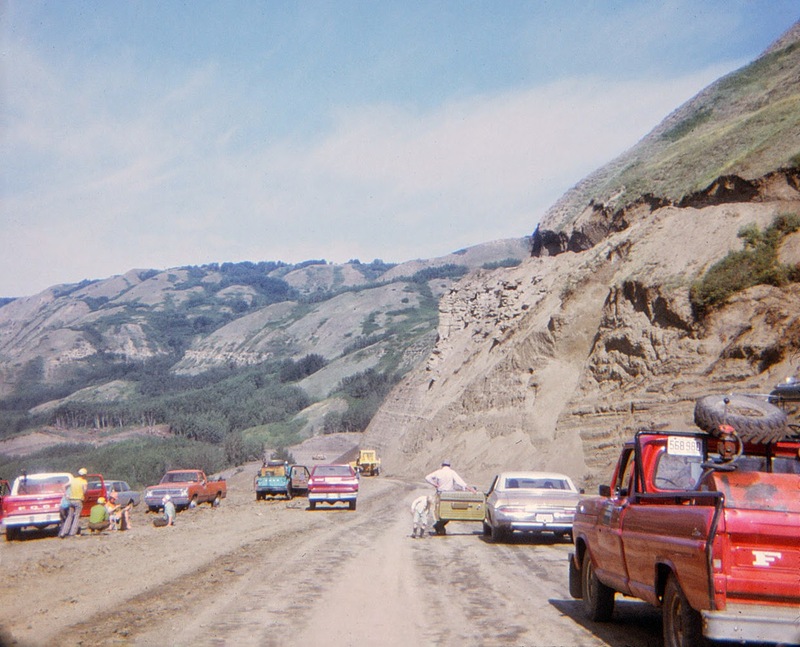 The slide indicates the photo was taken in 1973, presumably during the summer. The (I'm guessing) father and son at centre of frame seem oddly out of place, as if they were on a drive somewhere only to discover that the road was still being built.